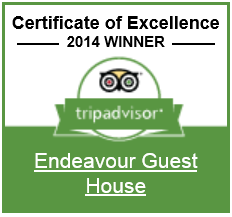 Thanks for visiting the ENDEAVOUR GUEST HOUSE Website (the "website"). These terms tell you the basis on which you may use our website, whether as a guest. Please read them carefully, as by using the website you indicate that you accept them and agree to abide by them. If you don’t agree with them, please don’t use our website. We hope you’ll find our website useful. It’s generally the most up-to-date source of information about us, our products and services, so you may find it useful to refer to if you have any questions. We provide the website to you in good faith and you accept that the information shown is provided “as is” without guarantees, conditions or warranties as to its accuracy. 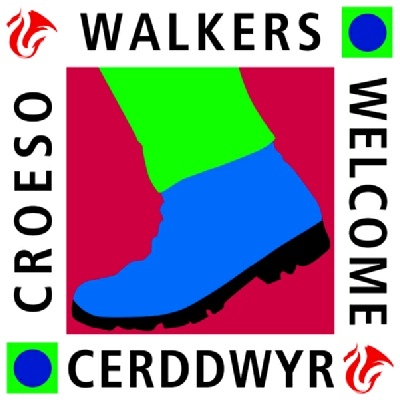 We’ve taken all reasonable steps to ensure that the information displayed is correct at the time of inclusion, but there may be inadvertent or occasional errors for which we apologise. Where errors come to our attention, we’ll try to correct them as soon as reasonably possible, however we accept no liability for any errors, omissions or inaccuracies contained in our website’s content. If you’ve any concerns, you must always check specific terms and conditions applicable to your relevant individual product or service. Use of our website is at your own risk, and you’re wholly responsible for decisions that you make as a result of information you read. You agree that you’ll only use our website for lawful purposes and not in a way that breaches applicable local, national or international laws or regulations (for example, using it to cause nuisance, annoyance or inconvenience, or to transmit, or procure the sending of unsolicited or unauthorised advertising or promotional material). 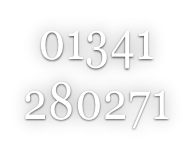 We aim to ensure that our website is available 24 hours a day, however we’ll not be liable if it is unavailable at any time for any reason. Access to our website may be suspended temporarily or removed entirely without notice (e.g. if there’s a system failure, or for maintenance or repairs). The products and services available through our website are subject to specific terms and conditions which are available to you at the time that you purchase the product and/or service. You must read these - if there’s any conflict between them and these terms, they will prevail. If you’re a consumer, these terms won’t affect any of your statutory rights which you have. Unless otherwise stated we can suspend, change, cease supplying, or withdraw the details of products, services and/or offers shown on our website without notice, and without liability to you. We don’t accept liability or responsibility for any websites which we frame. Some elements of the content, products and/or services accessible from our website may not be provided by us but instead by other individuals or companies. We’re unable to guarantee such content, products or services are virus and error free. You should always check e-mails, attachments and files before downloading them. Any intellectual property rights (for example, copyright, database rights, know-how, patents (in each case whether registered or unregistered)) in our website and its content (including the text, photographs and graphical images) are owned by us. All rights are reserved. Trademarks, logos and brand names shown on our website are owned by us, and no rights are granted to use any of them without the prior permission of us. You may link to our website provided that you do so in a way that is fair and legal and also ensure that your website doesn’t contain content that is distasteful, offensive, controversial, inciteful, illegal, infringes any rights of any third party, is detrimental in any way to ENDEAVOUR GUEST HOUSE, or otherwise doesn’t comply with applicable laws and regulations. Don’t remove, distort or alter the size or appearance of our logos. We reserve the right to revoke the right to link to our website at any time without notice. You shall indemnify us for any loss or damage (including reputational damage) suffered by us as a result of a breach by you of the conditions set out above in linking to our website. These terms, and any dispute or claim that arises in relation to them, will be governed by the laws of England and Wales. You agree to only bring legal actions about these terms against us in a court in Wales or England. We reserve the right to bring a claim against you in your country of residence or any other relevant country. If any part of these terms is found to be illegal or unenforceable, this will not affect the validity or enforceability of the remainder of these terms. We do keep these terms under regular review and we reserve the right to change them, so please do check each time you use our website. You'll be able to read about any updates on this page. Should you have any questions regarding the above, please use the contact us page.